This week's interview is all about digital marketing goodness. 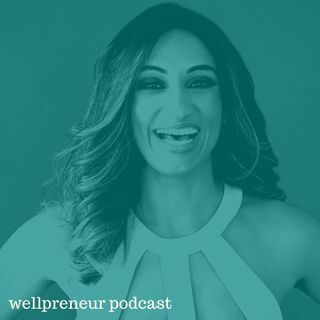 I know you love Real Wellpreneur series where we go behind the scenes with real practicing wellness entrepreneur who's done something really cool in her business and learned whats working for her today. My today's guest is Nagina Abdullah, and she runs a business called Masala Body, weight loss but with delicious spices. If you've ever wondered how an online health coaching business really works you'll love ... See More this interview, because Nagina gets really open about how she runs her business and all the techie bits that help her online marketing. One of the interesting things that you'll hear in this interview is that Nagina doesn't have any products or services listed on her website, and yes you heard right! Her whole approach is for people who get on her website to just get on her email list and she makes offers from there. SO she created this really cool online program that she launches on a regular basis and that really helped her grow her business. I know a lot of you are interested in hearing how this online side of health coaching and program running business works and that's what you're going to find out in this episode.